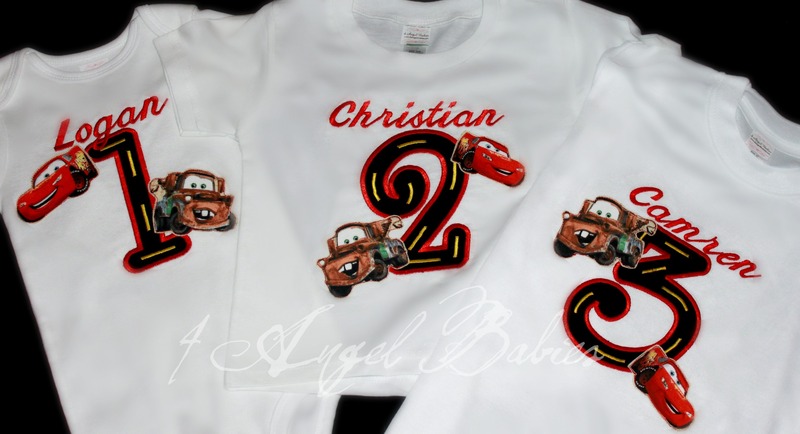 Disney Cars Lightning McQueen & Mater Inspired Birthday Top - $22.95 : 4 Angel Babies, Custom Creations for the Angels in your life! 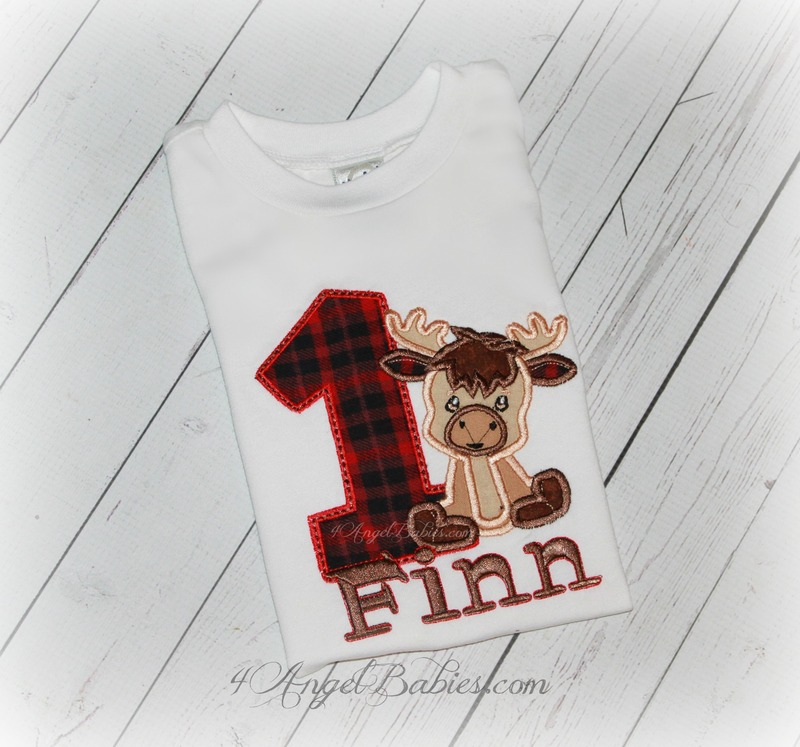 Add one of these adorable Cars inspired Lightning McQueen and Mater birthday shirts to your little one's wardrobe. 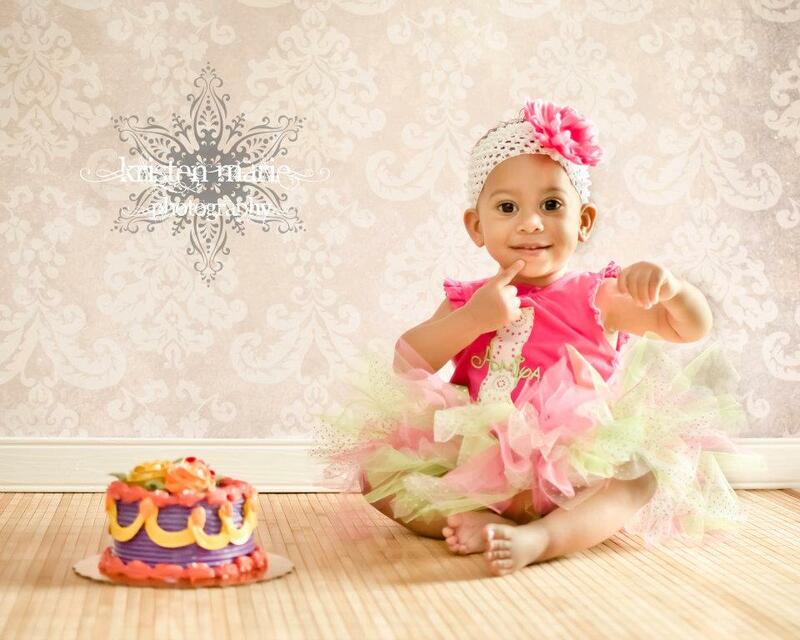 Perfect for cake smash, birthdays, parties, special events, and trips to Disneyland or Disney World. Adorned with fabric cars patches and an applique number with glossy embroidery thread. 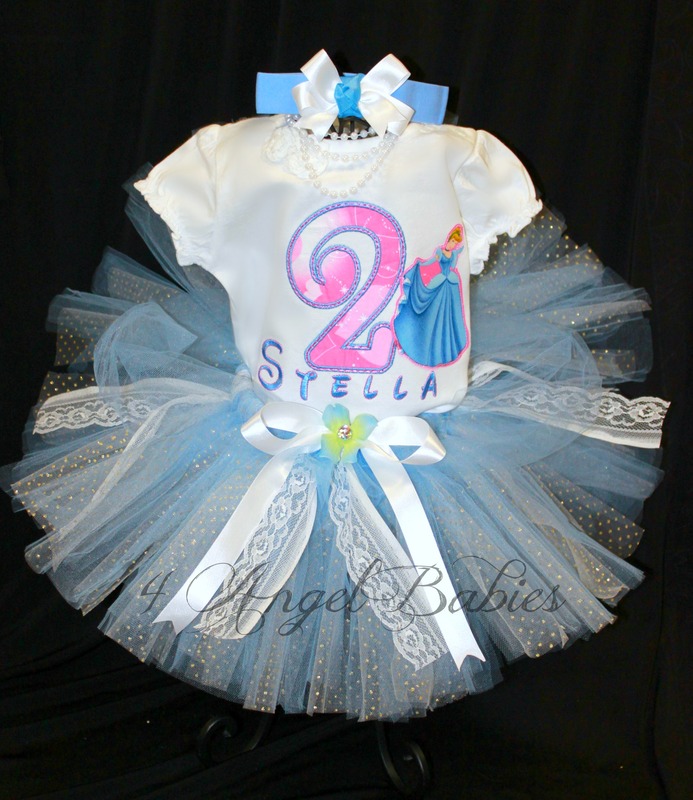 Personalize with name and number of choice. Looking for something else, just ask! I have hundreds of patterns and fabric combinations. Can be made with a different fabric for the number or letter (see fabric swatches). 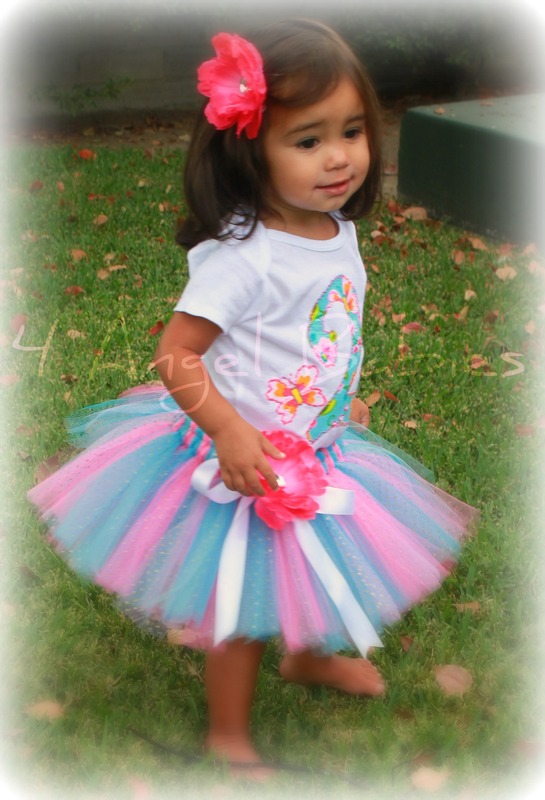 Also sold as a Cars Birthday Tutu Outfit for $54.99 including hair piece. Bib and matching hat are available and sold separately for $21.99 plus shipping (bib) & $24.95 (hat).